PhD in Politics and International Security, University of Bradford, UK; B.A. in International Relations and Security Studies, University of Bradford, UK. 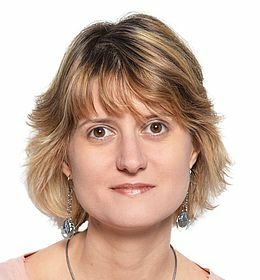 Tatyana Novossiolova is Research Fellow with the Law Program of the Center for the Study of Democracy, Bulgaria. She is experienced in project management, academic and policy research and analysis, and curriculum development and training delivery both as part of higher education and continued professional learning. Tatyana’s main research interest includes the cross-cut between international law and policy sustainability with a focus on cultures of conduct and professional responsibility and integrity. A particular focus area of research is the impact of scientific and technological advancement on the existing regulatory regimes and the various ethical, social, and security concerns arising therefrom. She is also interested in the application of active learning methods and ICT technology in the field of teaching and learning. Prior to joining the Center for the Study of Democracy, Tatyana has served as a technical/scientific expert to the International Federation of Biosafety Associations and the Landau Network-Fondazione Volta, Italy; she has held internships at the Bradford Disarmament Research Centre, UK, and the UN Biological Weapons Convention Implementation Support Unit in Geneva; and has consulted government agencies, international organisations, and non-governmental stakeholders on the development and implementation of scientist engagement and education programmes on issues related to security and ethics. Tatyana is a former Wellcome Trust scholar. She has published widely in policy and academic circles. Interplay between laws and norms; normative/organisational change; capacity building; CBRN issues; counter-terrorism; emerging security threats; societal resilience. ‘Role of the Non-Governmental Life Science Community in Combatting Development, Proliferation, and Use of Chemical Weapons’ in Crowley, M., Dando, M., and Shang, L. (ed. ), Preventing Chemical Weapons: Arms Control and Disarmament as the Sciences Converge (London: Royal Society of Chemistry, 2018). 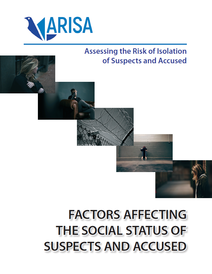 Markov, D. et al, Factors Affecting the Social Status of Suspects and Accused, 2018, Center for the Study of Democracy. Governance of Biotechnology in Post-Soviet Russia, Basingstoke: Palgrave, 2017. ‘Comparing Responses between a Natural, Accidental, or Deliberate Biological Event’, in Beckham, T. (ed. ), Biological Threat Reduction, OIE Scientific and Technical Review, vol.36:2, 2017, pp.647-654. Martellini, M., Novossiolova, T. and Malizia, A. ‘A Reflection on the Future of the CBRN Security Paradigm’ in Cyber and Chemical, Biological Radiological, and Nuclear (CBRN), Explosives Challenges, Springer, 2017. Novossiolova, T., Dando, M. and Pearson, G. ‘Article IV: National Implementation: Education, Outreach, and Codes of Conduct’, in Pearson, G., Sims, N. and Dando, M. Key Points for the Eighth Review Conference, University of Bradford, August 2016, pp.127-159. Novossiolova, T. and Pearson, G. Effective Biosecurity Education Implementation: The Vital Importance of a Coordinated Approach, Bradford Review Conference Paper No.32, 2016. ‘Enhancing Biosecurity Culture: The Essential Role of Biosecurity Education’, 1540 Compass, Issue 10, 2016, pp.34-38. Biological Security Education Handbook: The Power of Team-Based Learning (Bradford: University of Bradford, 2016). Available at www.bradford.ac.uk/social-sciences/peace-studies/research/publications-and-projects/guide-to-biological-security-issues/. Whitby, S., Novossiolova, T., Walther, G., and Dando, M. (eds.) Preventing Biological Threats: What You Can Do, Guide to Biological Security Issues and How to Address Them (Bradford: University of Bradford, 2015). Available at www.bradford.ac.uk/social-sciences/peace-studies/research/publications-and-projects/guide-to-biological-security-issues/. ‘Biosecurity as a Normative Challenge’ in Clausen, J. and Levy, N. (ed. ), Handbook of Neuroethics, (Dordrecht: Springer, 2015), pp.1813-1825. Martellini, M. and Novossiolova, T. ‘Toward a Biosecurity Summit: The Nuclear Security Summit as a Model’, 1540 Compass, Issue 7, 2014, pp.37-42. Novossiolova, T. and Whitby, S. ‘Biosecurity Training and Competence: Preserving Life Science Research Integrity and Ensuring Compliance’, in Sture, J. (ed. ), Yearbook of Biosecurity Education (University of Bradford, 2013), pp.130-136.